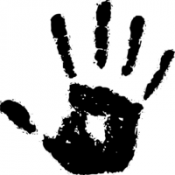 Blade of the Brotherhood is a PS4 NA rp guild focusing on Dark Brotherhood rp. We are looking to expand and add complexity to our rp through interactions with an outside guild of opposing Morag Tong rp'ers. If interested in creating such a guild or if you run/belong to such a guild, reply here or message Ambicerebratic aka Orion Ironsfeld.